It’s time to announce the winners of the second annual DFB Choice Awards!! Thanks to those of you who took the time to nominate your favorites, and to vote for the winners! 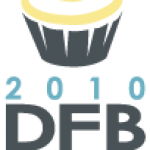 Without further ado, here are this year’s DFB Choice Award winners! 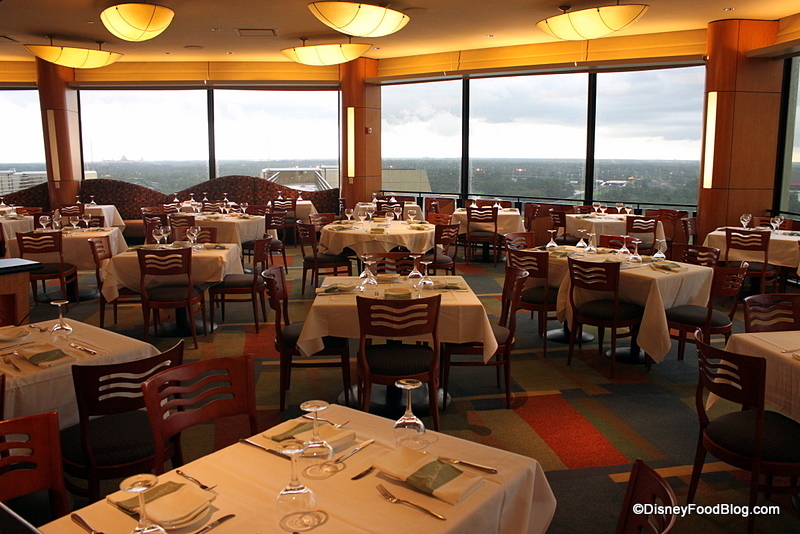 California Grill in Disney’s Contemporary Resort has one of Disney’s best views and one of Disney’s best menus! 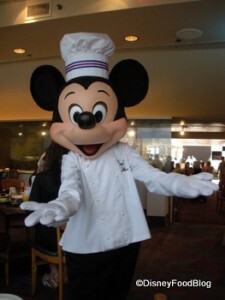 One of Disney World’s prized restaurants, the menu changes seasonally to incorporate in-season and local ingredients, fresh ideas, and an innovative approach to dining. Don’t worry, though — your favorite goat cheese ravioli will always be on the menu! 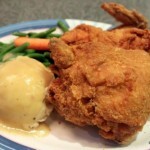 You’re transported to Hawai’i when you join your “cousins” at ‘Ohana! 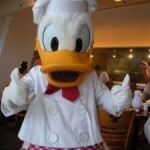 This Polynesian Resort restaurant is open for breakfast (with characters!) and dinner, where guests are treated to a set menu of Polynesian-inspired items including pot stickers, noodles, veggies, and skewered meats cooked over an open fire! After a strong Sunshine Seasons win last year, I’m interested to see this MK favorite pop up to the top spot! 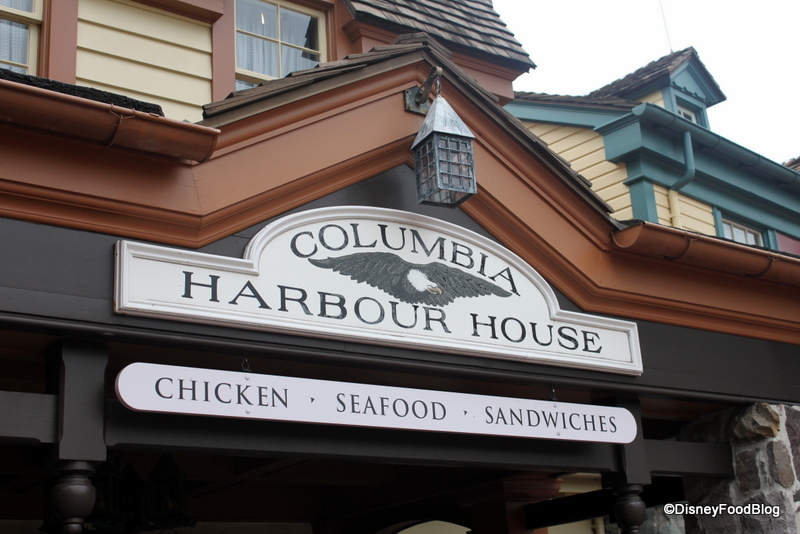 With a fresh new menu and the same old relaxing atmosphere you’re used to, reader-favorite Columbia Harbour House in Disney World’s Magic Kingdom offers a respite from the hustle and bustle of the park. Our favorite tip? 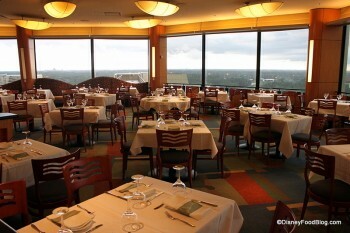 Sit upstairs and away from the crowds to truly enjoy your meal! 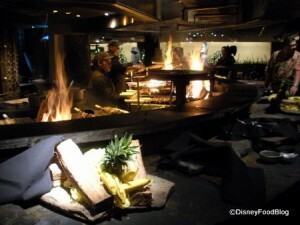 This phenomenal restaurant tucked into Disneyland’s Grand Californian restaurant is a gem, not only for its food, but also for its relaxed and welcoming atmosphere. Napa Rose chef Andrew Sutton creates dishes to dream about, and our favorite choice here is still the Chef’s Counter, where you’ll get personalized attention from the chef and his team in addition to a great show in the kitchen! 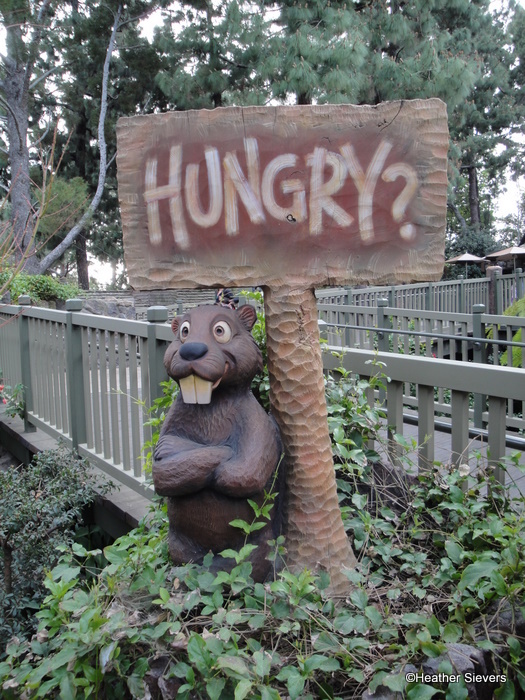 This fun location is tucked waaaaaay back in Disneyland by Splash Mountain and Pooh Corner. Grab a table by the river and wave at the passers-by! The Hungry Bear emerged from a menu renovation this year featuring all kinds of fun new classics! My favorite addition? The individually sized blueberry pie! Yum! 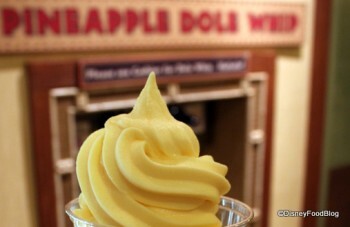 Coming in strong as favorite snack for the second year in a row is the beloved pineapple dole whip! This can be found in both Disney World and Disneyland, so there’s no reason to miss the pineapple-y delight. Don’t forget, this snack is also relatively low-cal, so you can indulge without the bulge (or the guilt!). I’m a purist, so the pineapple soft serve with pineapple juice is my favorite version. 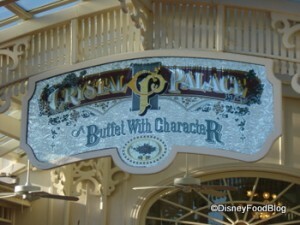 Winning by a nose over Chef Mickey’s, Crystal Palace holds the spot for Best Character Meal in 2011. 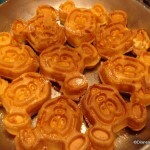 Found in Disney World’s Magic Kingdom, this popular buffet serves breakfast, lunch, and dinner, and offers guests their only opportunity to dine with the Hundred Acre Wood characters — Pooh, Piglet, Eeyore, and Tigger! Book a reservation prior to park opening to get some great empty park shots of your family! 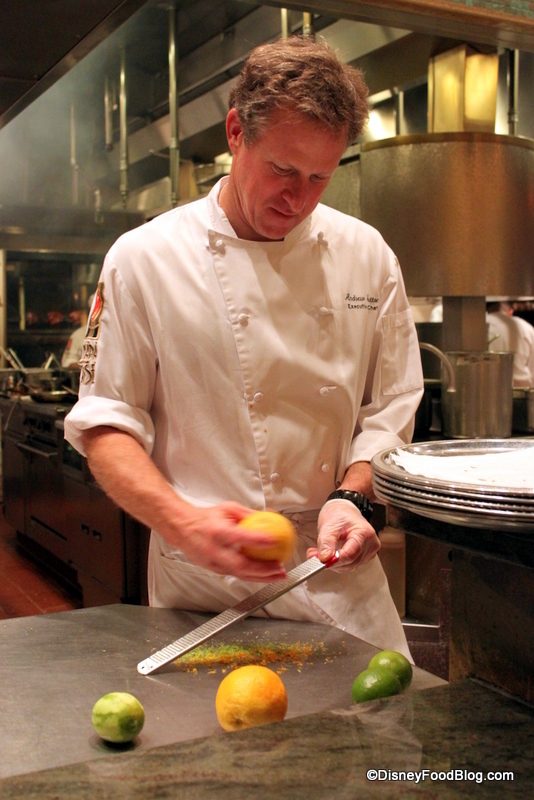 Winning top spot for vegetarians for the second year in a row, Boma really does offer something for everyone. 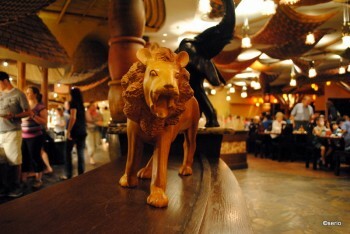 Featuring some delicious vegetarian soups and buffet dishes, this is one spot that I rarely hear complaints about. You’ll find Boma in the Animal Kingdom Lodge in Disney World — visit for breakfast for dinner, but be sure to make a reservation! 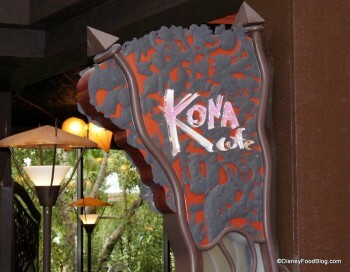 I’m thrilled that Kona Cafe won best breakfast for the second year in a row. This restaurant is one of my favorites. 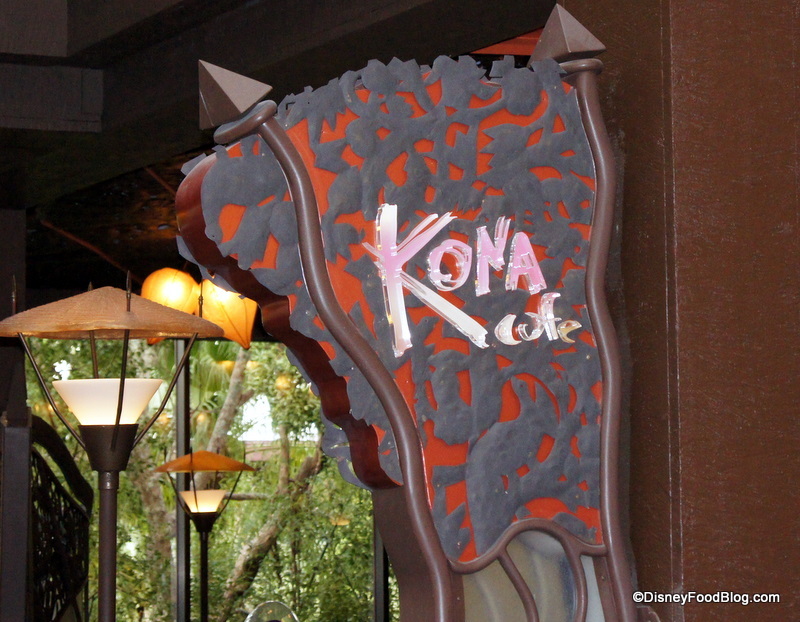 Located in Disney’s Polynesian Resort, guests can choose from unique and classic dishes like Tonga Toast, the Big Kahuna, and Macadamia Nut Pancakes. 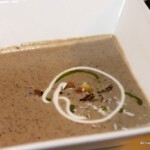 Try some of the interesting sauces and syrups as well! Our suggestion? Visit with friends so you can try a bit of everything! Want to compare this year’s winners to last year’s? 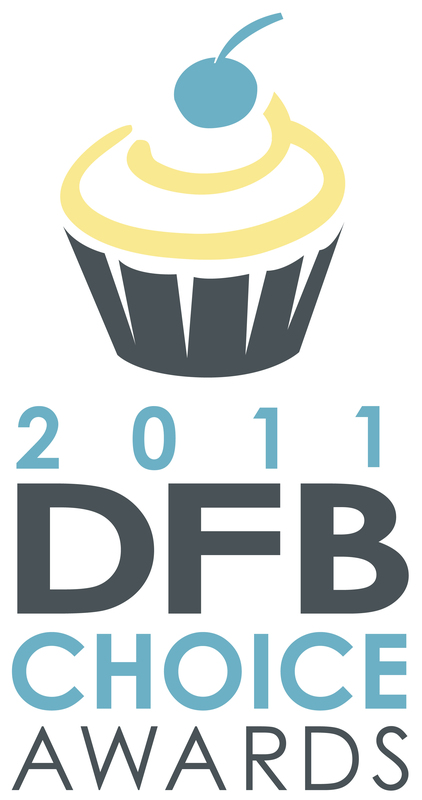 Check out the 2010 DFB Choice Award winners here!